This was my first byline, and also was an opportunity to work with one of the most amazing information designers in the world, Fernando Baptista. 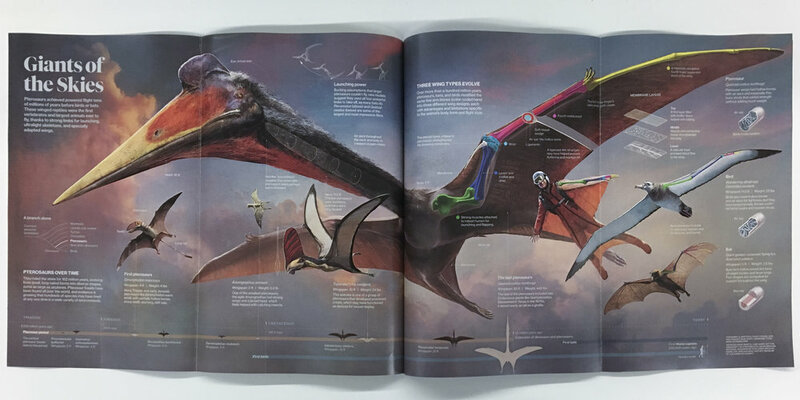 This was also my first graphics project, and a double gatefold, where I learned about the production process and standards, how to work with a researcher, and the intensive vetting process that all National Geographic visuals go through. 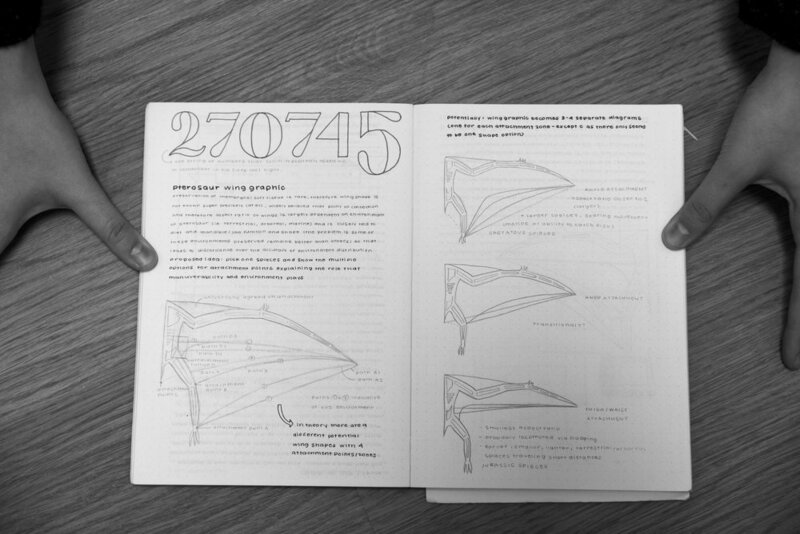 I was tasked with the timeline, phylogenetic tree, and the wing shapes (a part that ended up getting cut). 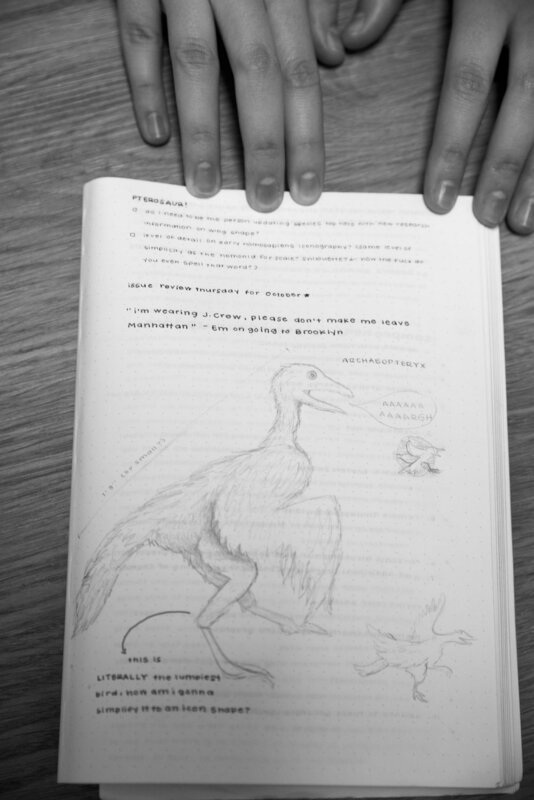 This was an intense project that allowed me to use a lot of the research skills I gained through high school, and used the knowledge that I gained taking biological anthropology, which helped me digest some of the very dense scientific articles that I had to read. Ultimately this was a very rewarding process, and I created something I am really proud of and that reached millions of readers, and even more people online. The full story can be found in the November 2017 issue of National Geographic magazine.